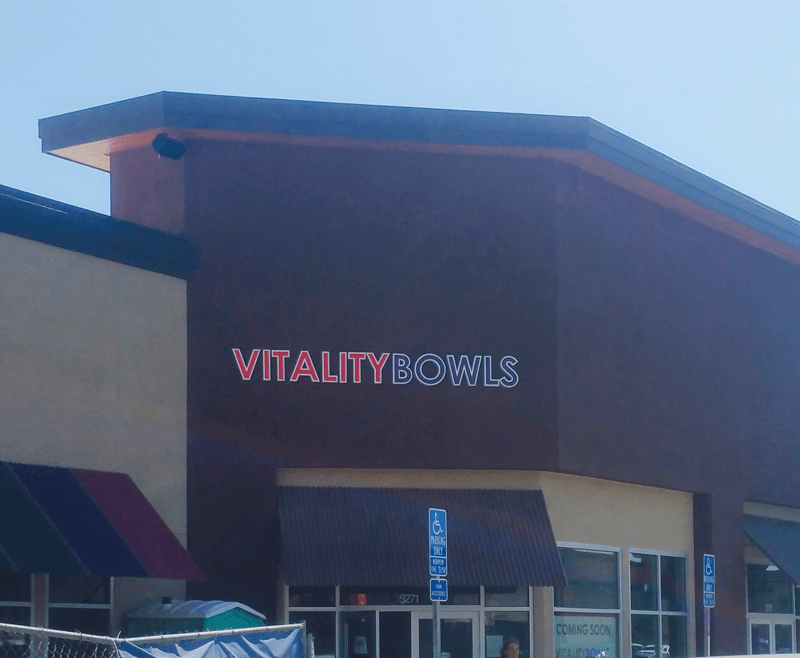 Vitality Bowls Dublin opened July 2015 as the brand’s sixth location. 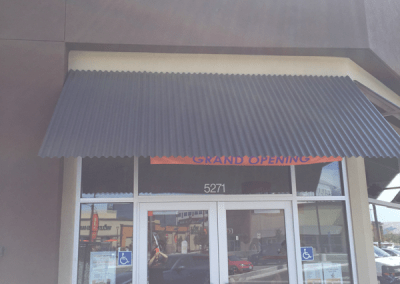 Situated in Persimmon Place in the same shopping center as Whole Foods and close to a movie theater, the café is a popular destination for local shoppers and residents. A suburban city in Alamada County, Dublin is located 55 miles east of San Francisco and is famous for its annual San Patrick’s Day parade. Its proximity to neighboring Livermore wine valley makes it a popular destination for visitors. One of the most popular lunch places in the area, customers love Vitality Bowls Dublin’s fresh juices as well as acai bowls such as the Graviola Bowl, made from a blend of Graviola, Coconut Water, Mango Juice, Pineapple, Bananas, Strawberries, and Kale; topped with Organic Granola, Bananas, Mulberries, Chia Seeds and Honey. 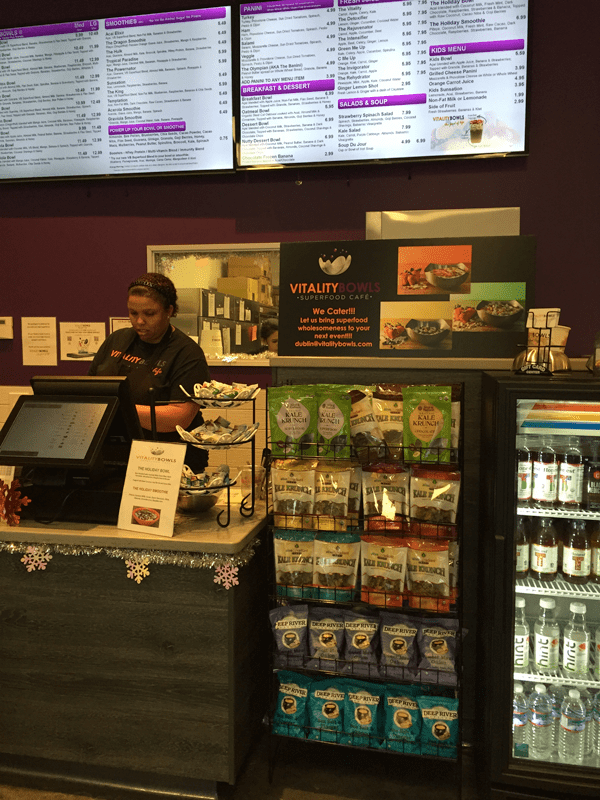 The location also offers delicious hot Panini and soups as well as salads, smoothies, organic kombucha and organic cold brew coffee on-tap – the perfect shopping fuel before heading to the nearby Whole Foods. 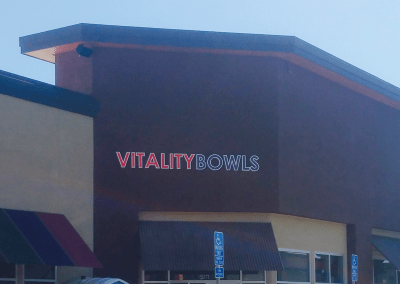 Vitality Bowls Dublin also offers catering. 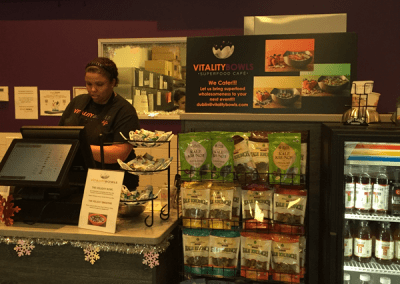 Gabi Lazar, one of the owners of Vitality Bowls Dublin, spent years as a teacher and became passionate about the importance of nutrition and how it affects development and growth in young children. 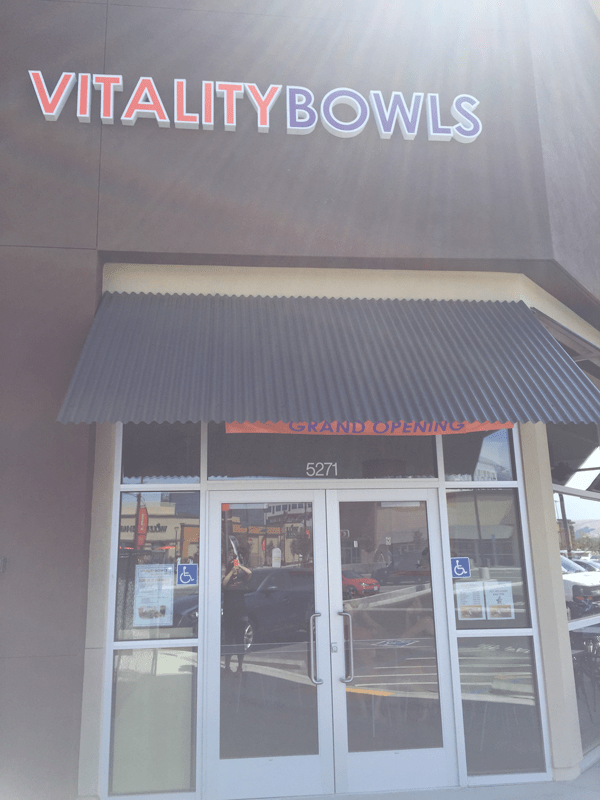 She was drawn to Vitality Bowls when she was expecting her own child. She wanted to provide her son and community with a healthy option for eating out where they could also be educated on the benefits of nutritious food.